Note: Units available to ship seem to have sold out, but you may still be able to order online for in-store pickup. It’s also possible they’ll re-release it throughout Cyber Monday, if their Black Friday deals were any indication. Check out more Cyber Monday gaming deals here, in the meantime. 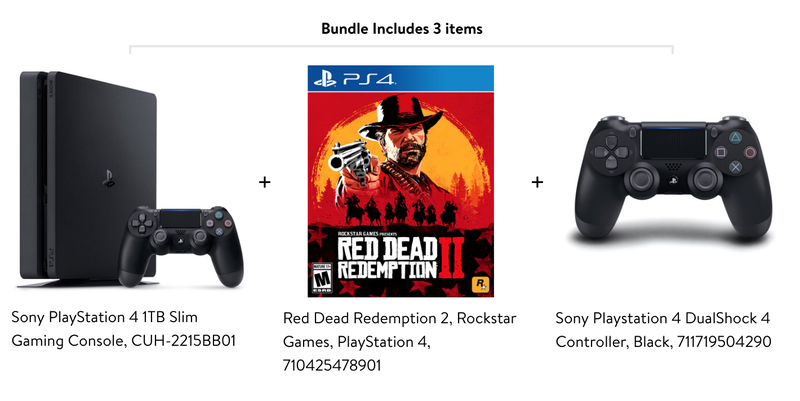 If you couldn’t get your hands on the $199 Spider-Man PS4 bundle on Black Friday, here’s a more-then-decent consolation price: $199 gets you the console (sans-Spider-Man), a copy of Red Dead Redemption 2, and an extra controller. That’s even better than the Spider-Man bundle, which didn’t include the extra controller, but like that bundle, it will probably sell out extremely quickly.